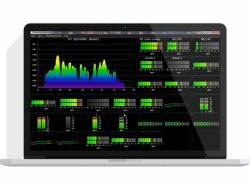 Network Edge to dedykowany translator między siecią Audio over IP w studiu radiowym, przesyłającą dźwięk wysokiej jakości z minimalną latencją a łączami IP o niskiej przepływności (takimi jak mosty radiowe wifi np. 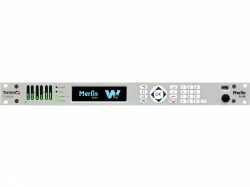 Ubiquity czy Mikrotik). Network EDGE is designed specifically as a translator between high-quality, low-latency studio networks such as WheatNet-IP and low-bandwidth STL connectivity options such as IP wireless radios. 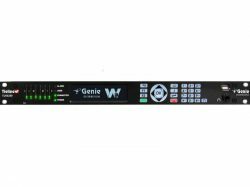 IP wireless radios in the unlicensed 5 or 24 GHz range are priced from a few hundred to several thousand dollars. 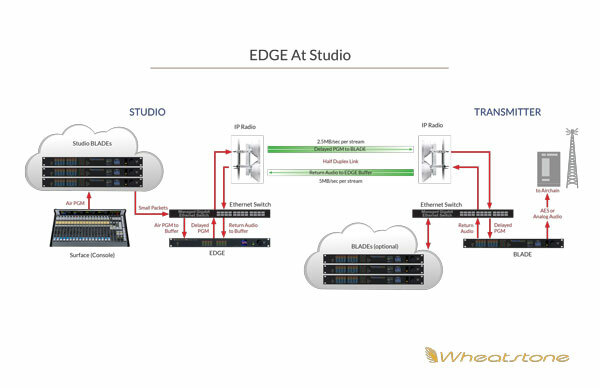 Typically located at the studio, the Network EDGE interfaces directly to an IP wireless radio or commercial leased line for point-to-point connectivity between locations. 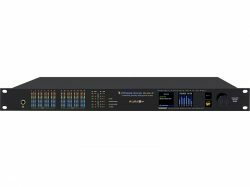 Network EDGE can be used with any of the major IP radio brands currently on the market. 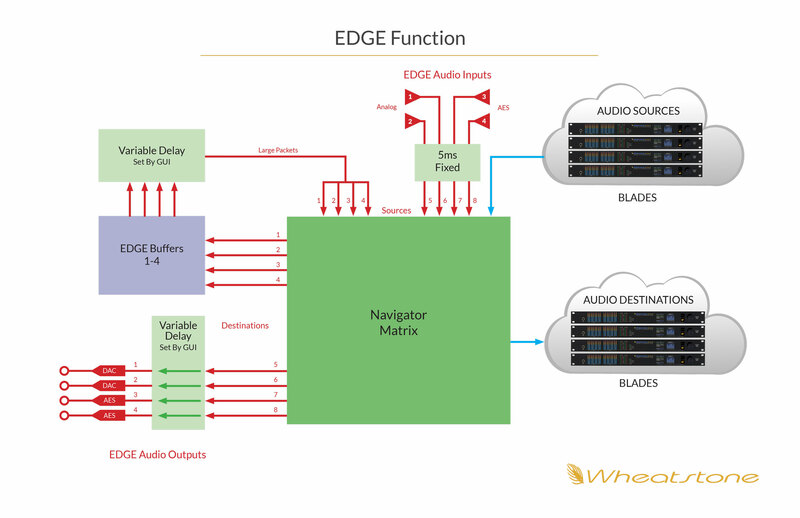 When used within the WheatNet-IP system, with a Network EDGE at one end and a BLADE at the other, this opens up a world of possibilities based on BLADE I/O functionality such as silence detection, clip player, logic for automation, et al. 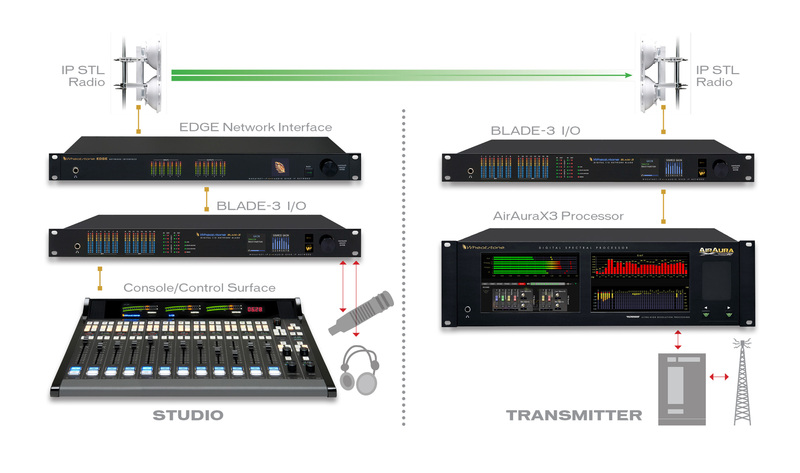 The Network EDGE includes local I/O (two AES and two stereo analog) and 12 programmable logic ports. Masz wątpliwości, nie wiesz od czego zacząć? 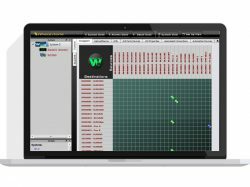 Znalazłeś rozwiązanie, ale nie wiesz czy na pewno zadziała? Skontaktuj się z nami i opisz swój projekt. Pomożemy! Serwis wykorzystuje pliki cookies. Korzystając ze strony wyrażasz zgodę na ich stosowanie. Dowiedz się więcej.